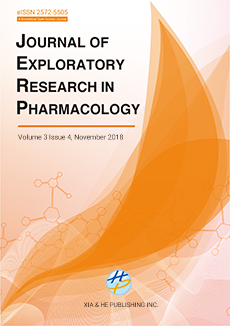 Journal of Exploratory Research in Pharmacology (JERP) publishes original innovative exploratory research articles, state-of-the-art reviews, editorials, short communications that focus on novel findings and the most recent advances in basic and clinical pharmacology, covering topics from drug research, drug development, clinical trials and application. The exploratory research published in JERP may not necessarily be conclusive, but the study design must be solid, the methodologies must be reliable, the results must be true, and the conclusions must be rational and justifiable with evidence. Topics included, but not limited to the following areas will be considered for publication in JERP.